The haute-roadman returneth on XL with the 2nd of two EPs issued in series with Powell and Mumdance killahs. It's a version-for-version session rewiring trap, grime and jungle with alternate angles on the base metrics and resolution of both sides' material. The deflated, skunky 8-bar clank of 'Neon' emits radioactive bass distortion and splashing soundsystem FX next to its hazed-up, trap-teetering reversion, 'Bloom' on the top face. Down below, 'Peroxide' references the legendary BBK flip of Bone Thugs-N-Harmony with a 2015 road-rap lean, spun into Art Of Noise-gone-grime bliss with 'Xeon'. 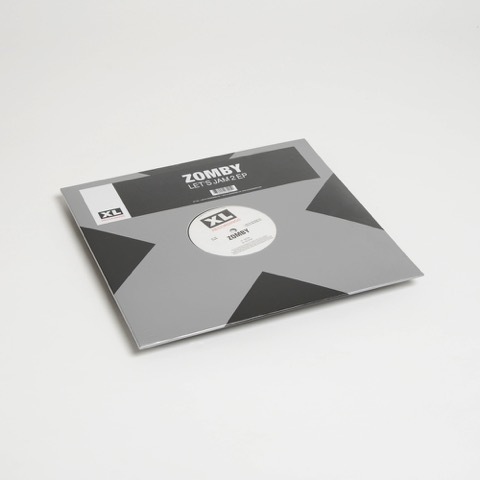 Pretty sick to see ZOMBY capitalised on an XL rave sleeve. Sound wickeds too!